With the economic case against Brexit becoming undeniable, are the Brexiteers’ in retreat? In a conspiracy theory too far, Jacob Rees Mogg claimed that the government has "fiddled" its own figures on the economic impact of Brexit. Britain’s economy will be worse off in every Brexit scenario and regions outside of London will be hardest hit, government commissioned analysis shows. Economic growth will be between 2 and 8 per cent lower than had we remained in the EU in every Brexit scenario looked at by the government economists. The north-east and the West Midlands will suffer the biggest hit to growth, while London would be the least affected, the study found. Following a leak of some of the information to Buzzfeed last week, ministers allowed MPs to see the reports in the House of Commons library – further details were then leaked to the press. It’s the most definitive evidence yet to counter claims that Britain will better off out of the EU. And the Brexiteers’ response to the leaked report shows their state of wilful denial and conspiracy is reaching fever pitch. “If you look at the forecasts the Treasury made before the referendum, they were a humiliation. They were clearly politically influenced”. It’s just the most recent attack made on civil servants by Brexiteers and it amounts to “unsubstantiated conspiracy theories”, as a union who represents civil servants, the FDA, put it. 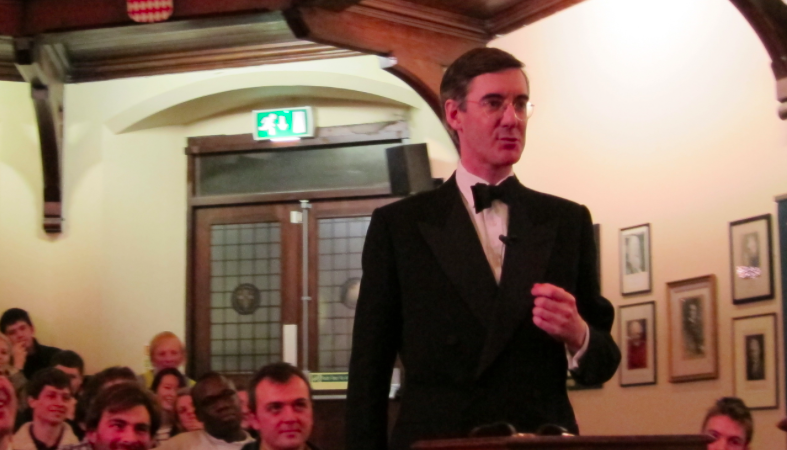 Rees Mogg and his group of cronies in the ERG appear to continue with the shadowy political manoeuvring that made Brexit happen in the first place: spreading distrust of institutions and denying economic common sense. But it may not work anymore. The economic analysis being leaked gives such a strong and clear picture of the mess we’re heading for, it may be impossible for even veteran Brexiteers to obfusticate it. Leading Remainers responded to the economic analysis this morning, Tulip Siddiq MP saying: “Millions of people will see their local communities hit as a result of Brexit. “Gove, Boris and the rest of the hard Brexiteers made promises to the people during the referendum, most famously on giving the NHS an extra £350 million a week. The success of Mogg is his ability mislead and spread fake news with calm, dignified conviction – but with the economic facts of Brexit becoming so undeniable, might the Brexiteer lies finally be dispelled? The Brexiteers just continue to assert their arguments irrespective of the evidence and attack the source of criticism as being biased. Donald Trump does it boorishly, while Mr Rees-Mogg does is with the kind of polish acquired by a public school education. While Mr Webb seems to have a degree of admiration for the manner of Mr Rees-Mogg (indicative of the hegemonic forelock tugging which so many in England seem to be prone? ), Mr Rees Mogg is, nevertheless being mendacious and is bullying. He sees the power and privilege of his class coming under threat and they will, if need be, unleash the authoritarian powers that they have. He is at the stage of ‘showing the instruments of torture’, which has usually been sufficient in keeping the populace in check. However, looking back via Orgreave to troops in Liverpool and Glasgow, to Peterloo, the class to which Mr Rees-Mogg belongs will be vicious if they feel threat. Still got nothing to say about the non-economic case, then? Still afraid to make the bold, unashamed pitch for further political integration into the European Union? You can keep on banging on about the economic argument and ignoring the fact that most Brexiteers priced in a degree of economic risk when voting in the referendum, or you can drop the slogans and try to engage with Brexiteers on the issues they actually voted on. But you won’t, because you have no answer to those legitimate grievances with the EU. Always found it strange that the English would vote to be dictated too by a foreign nationals. Scotland being a natural welfare junkie state would vote for anything that pays benefits. This is such a middle class London website.